I recently moved to Belgium therefore couldn't keep you posted with new reviews. 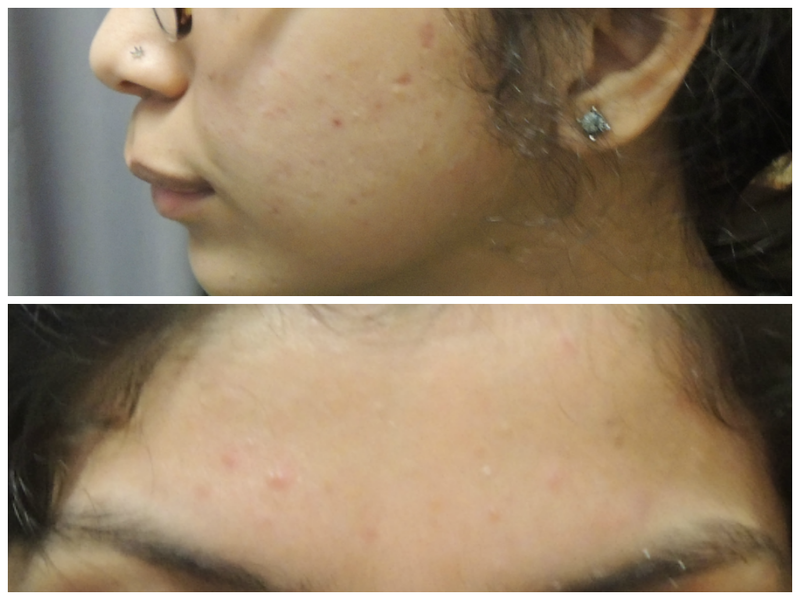 When I started to get acne on my right cheek I panicked and went straight to the pharmacy and the pharmacist suggested me to use two La Roche Posey products 1) Effaclar Purifying Foaming Gel 23$ 2) Effaclar Duo 37$ well I am a student and I paid hefty amount for both the products which I had never heard about in my life before but after making my purchase I came back home went online to read reviews and I found great stuff about this brand which is famous around Europe and USA all the good reviews made me really happy and satisfied that my problem is now solved. I was told to wash my face twice day/night with the foaming gel and then apply Duo all around my face which I did but after few days my skin was peeling off so I only apply it to the problem areas. It has been a month since I am using this product and I am unsure about the results or I should say until now I am not at all happy with these products. 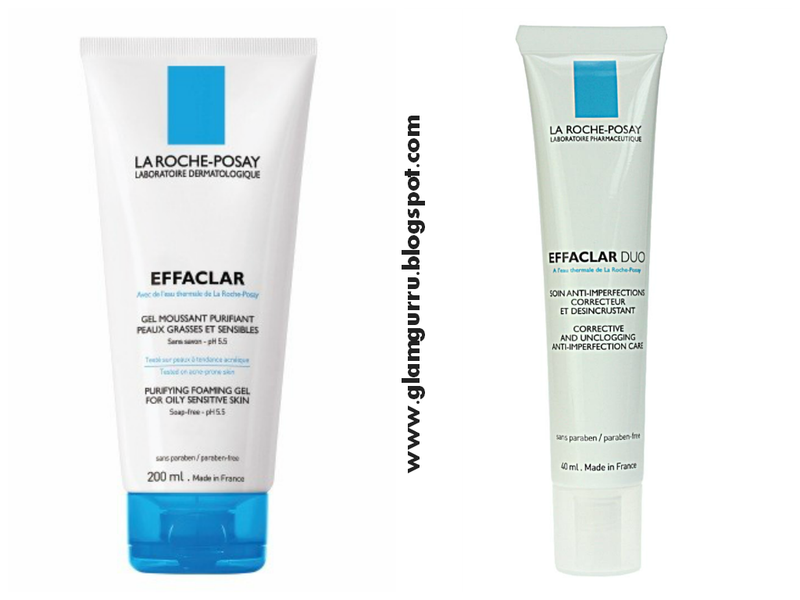 The product description says "La Roche Posay Effaclar range is a complete system of products designed to keep the skin clean, purified and problem free. While many acne systems contain strong medicines that can be drying and irritating, La Roche Posay Effaclar formulates its products which gentle and soothing ingredients that are highly effective without stripping the natural moisture from the skin or exasperating existing skin conditions La Roche Posey is designed to treat blemishes, prevent the formation of future breakouts and keep the skin balanced and comfortable"
In the third week my skin looked REALLY BAD like I have an allergy on my cheek I had zits and blemishes but the above picture is the latest I took it today its end of fourth week some of the redness is gone but the zits and sore under the skin blemishes are not leaving my cheek alone they appear make my skin worse and then disappear and appear again. 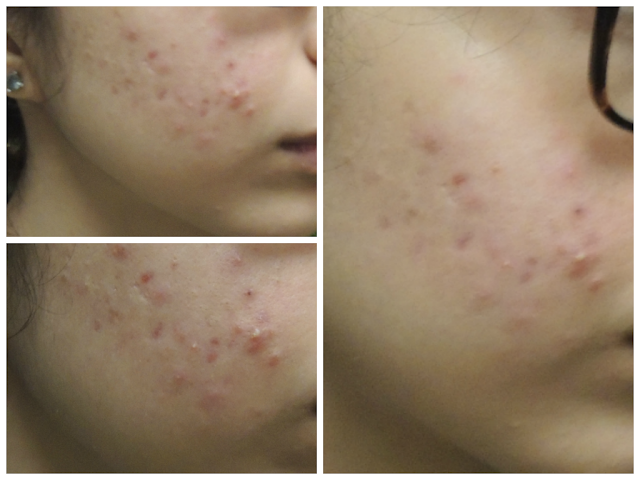 But I am still giving this product a chance just to know why there is so much hype about this brand maybe it first makes the skin worse and then gradually help skin heal but a month time is quite a lot for a product to show better results trust me its disturbing for a person like me who hate pimples, my skin would have been much better with TBS tea tree products I should have gone to TBS instead of going to the pharmacy. I am still unsure but I want to document my suffering just to see if this product really works and all those raving reviews are actually true. Disclaimer: "This is not a sponsored review all opinions are genuine and based upon my own experience"